Steve's article says the skybridge will come down with the help of four cranes on either Nov. 5th or 12th. It didn't say when the building itself will come down, but I suspect it will happen bit by bit shortly thereafter. 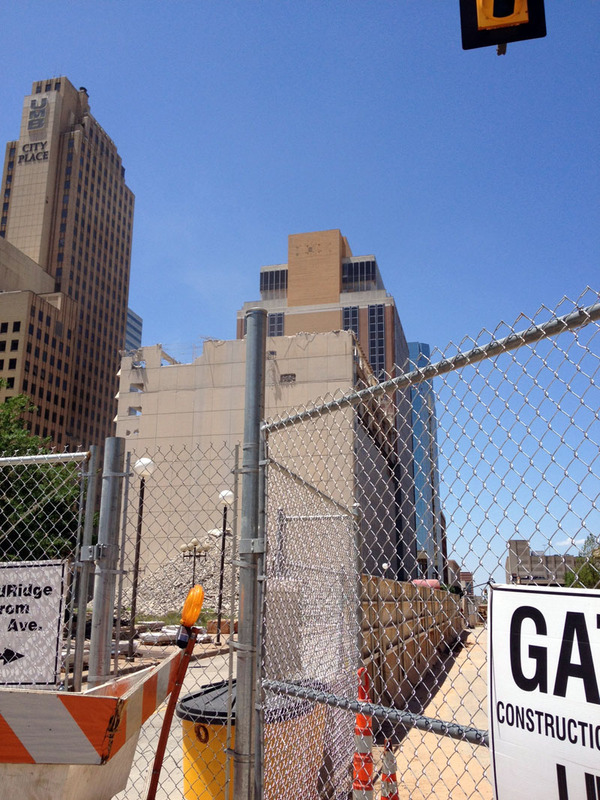 Anybody have an idea of what SandRidge built underground between the tower and the Braniff Building? Steve's article mentions it had to be reworked and contained underground parking and mechanical systems... What is there now? Dowell will be creating a new eastern facade for the Dowell Center when Sandridge tears down the current elevator parking/office structure. 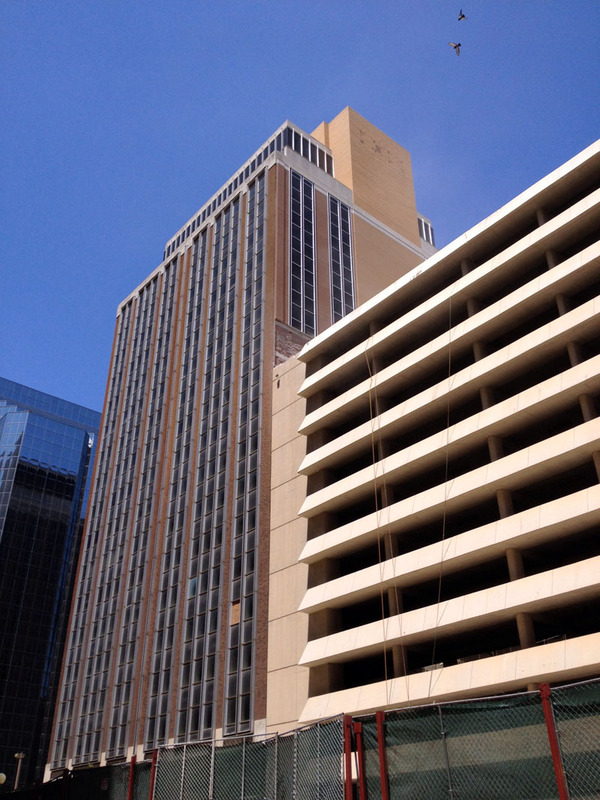 The new facade will extend down to the top of Sandridge's new Amenities building. I've posted this in the Dowell Center thread as well, but in the application to the Downtown Design Committee, Sandridge had extended a letter of support. OK so after seeing the stuff they're going to get, who wants a job there? LOL. Is that some of the original brick on the east facade toward the bottom, where they've removed more of the parking structure? However, the new SandRidge building will completely cover it, right up to the line with the new windows and stucco. Does Dowell even know what this building used to look like? I am increasingly puzzled by recreating the rest of the false facade on the top so many floors. Seems that would have been a good opportunity to reclaim part of the building. The problem is that it is actually two buildings cobbled together with the mid-century facade. If you ever see old photos of what is under there you would scratch your head as to how they merged them together. There must have been MAJOR alterations done to the bones of the originals. It would likely be a tough case for HP, beyond the Kerr-McGee renovation that is now part of the historic fabric of that building. Fair enough. Here is the original that we're talking about, although perhaps this belongs in the Dowell Center thread. Yeah, and I think that is only the southern half of the existing building. I have read about the possibility of having a small grocery store in this space. Can anyone confirm that? It is not in the plans. There has been talk about A Good Egg group putting restaurants in both the Braniff and Amenities buildings, with some to-go food items in one of them. Nothing confirmed as of yet. Ah well, SandRidge Commons probably was not the best location for such a venture anyway. 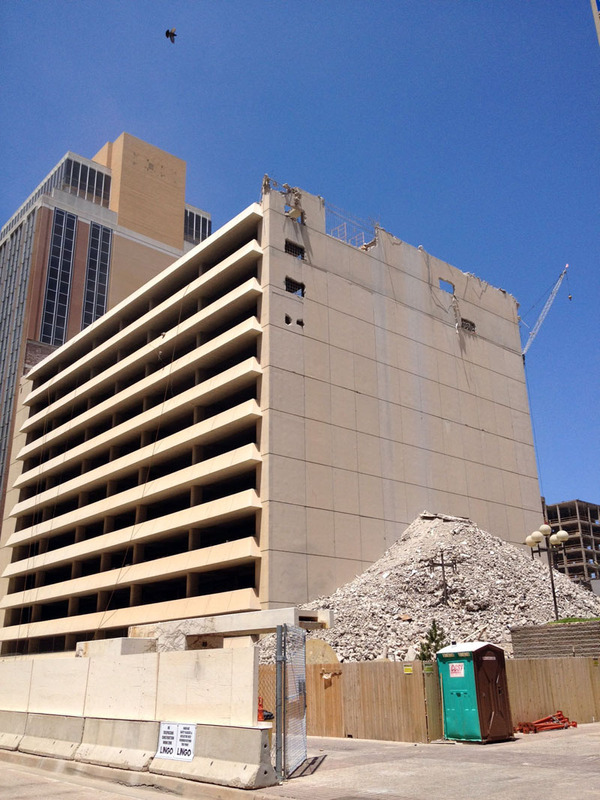 $35 million building permit today for the SandRidge Amenities building. Should see it going up soon! Wow, so the Amenities Building is nearly 2/5 of the whole SR Commons cost to date. I think SandRidge is going to end up spending well north of the previously announced $100 million on their complex. That number was given before the bought the Broadway/Kerr parking garage let alone it's probably renovation and expansion, nor the new tower and the other lots on Broadway. And remember that a building permit ($35 mil in this instance) does not include, furniture, fixtures and equipment which can add another 30% or so to the total. Well, I tend to think Broadway/Kerr renovation or redevelopment is inevitable, but I'm still not sold on this new tower rumour. Sources that I have close to the situation state the new tower by Sandridge will be 20 stories. 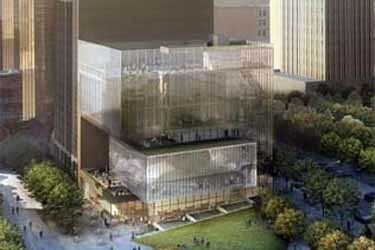 But won't break ground until 2014. A modern 20-story building would likely be almost tall as the original tower, simply because the floor heights are significantly higher these days. 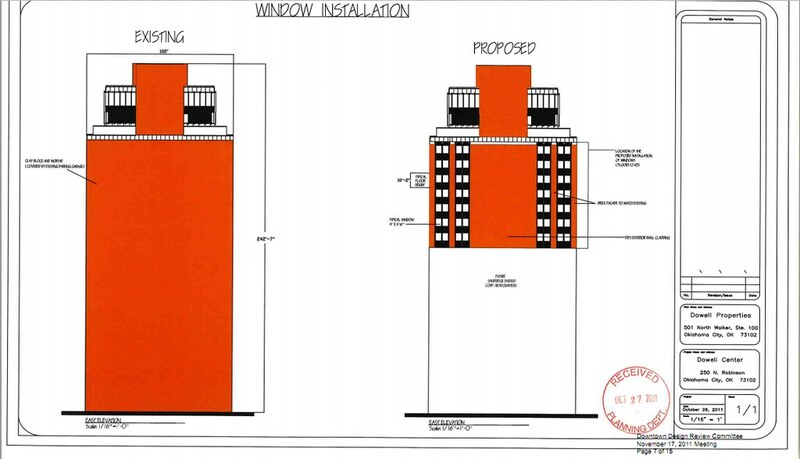 SandRidge tower is 393 feet but a new building would be 15-20 feet per floor; using the average that would make a 20-story building 350 feet, and that's not including any building-top elements.